Security on Facebook #3: Do You Want to See What Facebook Knows About You? Update 18.01.2019: This article is now out of date. Facebook has changed how you download your data. Read this updated article instead. In these days where Facebook is rocked by the Cambrigde Analytica scandal, more and more people are starting to wake up and reliase how much personal information they are actually giving Facebook. Especially now that Facebook is showing that not only are they not that concerned about protecting your data, they are now even trying to cover their tracks by almost lying about why they shared so much data to third parties. But do you know exactly what Facebook knows about you? Do you want to find out? It’s very easy. You will now be told that Facebook has started to create your archive, and that you will receive an email to the displayed email adress when the archive is finished. Go on using Facebook as normal, while waiting for the email from them. This might take a while! A zip-file with your data will now be downloaded. Choose where you want to save it. 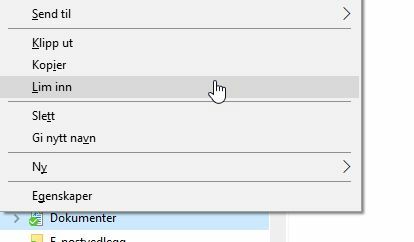 If your browser doesn’t ask you where you want to save it, you will find it in the Downloads/Nedlastinger folder. Hold down the CTRL key on your keyboard while hitting the letter C on your keyboard. Alle the files and folders will now be copied. The index file and all the folders will now be pasted in there. Wait for it to finish copying, it will take a while. When it has finished copying, double click on the index file. 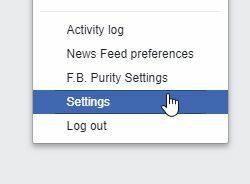 You can now click on the links in the web page’s menu to see exactly what Facebook knows about you, and what you have shared and uploaded. You can se EVERYTHING you have done on Facebook. All this data is a total profile on you. And it’s a profile about your beliefs, your political views, your sexual orientation, who your friends are, what you like, what you don’t like… It’s so much, that the people who have all this knowledge about you can actually use it to influence you on what to vote, what to think and even how you behave!